HIV infections impact everyone, including college-aged students. Knowing your status is important. 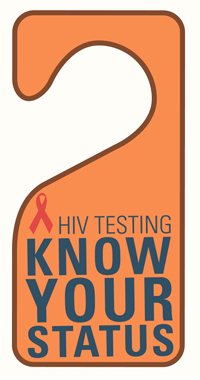 Get confidential or anonymous rapid HIV testing for FREE! Please call us at 443-3983 to get a guaranteed time slot. Drop-ins are welcome, but may require significant wait time. This event is co-sponsored by the LGBT Resource Center, Office of Off-Campus and Commuter Services, Health Services, Counseling Center, AIDS Community Resources and NYS Dept. of Health.